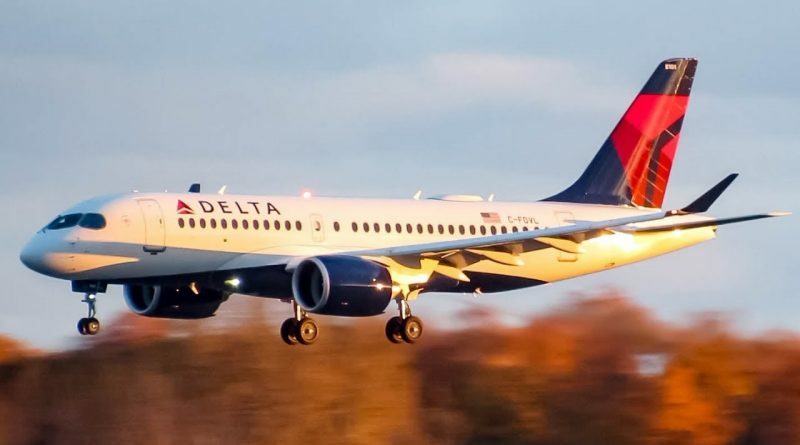 Delta Airlines has been successful in marketing the A220 while the newcomer has had a lot of media coverage in the United States. The next step would be for the airline to use positive feedback around the A220 passenger experience to stand out from the competition. Air Baltic will proceed with the first Level C check on its older A220-300 by the end of the current year. For the other types of aircraft, the Latvian carrier entrusted the big maintenance in subcontracting, but for the A220 it studies the possibility of opening its own maintenance center. The idea is probably to develop an expertise to be able to get maintenance contracts from other European carriers who will acquire A220 in the coming years. A negotiation with Airbus will be necessary in order to become an authorized service center; the possibility of converting the 30 options to firm orders before the end of 2019 gives Air Baltic a bargaining power. According to the Air-Journal website, Air Baltic will provide to Lufthansa two A220-300 on wet-leased with crew during the summer season to support the fleet in Munich; they will be used on flights to Lyon and Luxembourg. No news, good news says the old saying; in the case of the engine failure that occurred on December 27 on Korean Air flight KE 753, this is undoubtedly true. The Pratt & Whitney staff had anough time to investigate the cause of the failure. The simple fact that no urgent directive has been issued means that it is most likely an isolated cause. The construction of the first of the two temporary shelters, in the pre-flight area as begun and photographs of the steel structure began to circulate. The goal is always that they are usable this spring. The latest Korean Air A220-300 has moved to the pre-delivery stage by the end of January and should be delivered by the end of the month if all goes well. Since the beginning of February two A220-100 destined to Delta Airlines are at the pre-delivery stage and at one more should join them before the end of the month. The time laps between the first flight and the delivery is now under 10 days and we can expect three deliveries in February. Spirit Airlines said it was pushing its decision for another order by another six months: the A220 and E2 are being evaluated. Qantas Airlines is also looking for an aircraft the size of the A220-300 that can be used on domestic flights and also on flights to Indonesia, Malaysia, New Zealand and the Philippines. The names Air France and Lufthansa are still to watch during the year. With regard to Air Baltic, the conversion of the 30 options before the end of 2019 is becoming more and more likely.